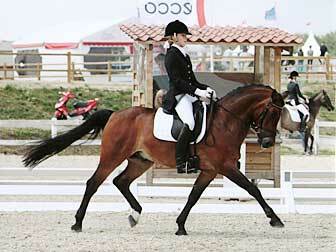 In order for a horse to reach the higher levels of dressage it is essential that it has the right combination of exterior appearance and inner ability. The key is to be able to spot the raw talent in a young horse. 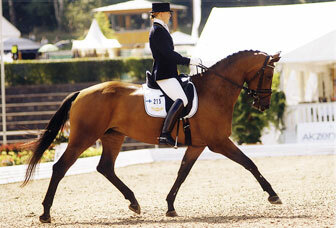 We are involved in all aspects of the dressage scene from foals to Grand-Prix-trained horses. We have contact with many breeders and owners, and constantly hear of horses that are for sale. If you are looking for a suitable horse, we are happy to assist your search with expert opinion and our international contacts. We also have a constant selection of horses for sale within our own stables.